EVE series author A.L. Waddington wants YOU in her next book! A.L. Waddington (hereafter referred to as Angela) is a mother, a writer, and a visionary with loads of advice for aspiring authors. 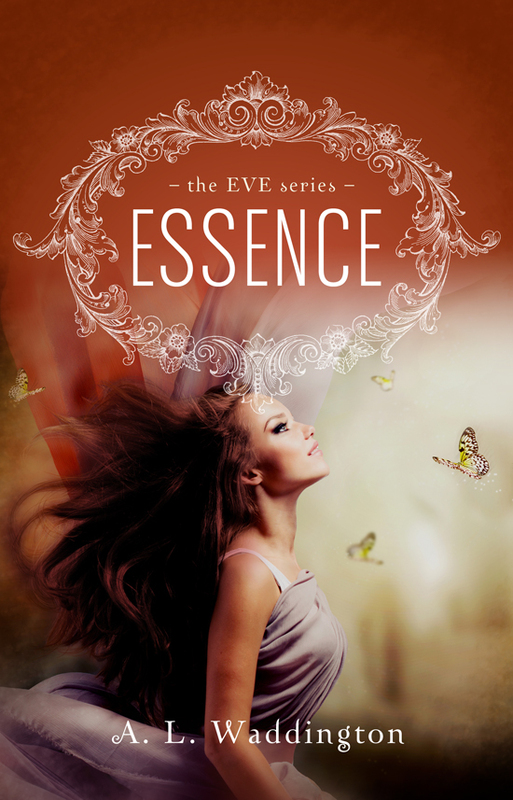 She is the force behind the EVE series–of which the first installment, Essence, came out last week. I am honored to host her during her Essence release blog tour. After the interview, enter to win one of three Essence e-books on behalf of Angela and Skipping Midnight. And then sign up for her super exciting grand prize drawing: a signed copy of the next book in the series, Enlightened, as well as … wait for it … a walk-on character named after you! Now how’s that for some riveting dinner conversation?! 1. The EVE series is set in two parallel planes of existence–following a young woman as she falls asleep in one and wakes up in the other. Where did you get the inspiration for such an intriguing premise? My inspiration for the creation of the EVE series was my three teenage children and their strong love for the imagination of something just a little beyond their own existence. I have, hopefully, written my manuscript(s) in a fashion that will appeal to this particular genre’s ever-changing reality that translates into the adult world and allows them to melt into a world grounded in reality yet makes them ponder their own perception of reality. 2. What else can you tell me about the story? What will people love about it? Hopefully, I have created characters that are relatable to just about everyone. That was my goal; to create the average high school girl who discovers she’s inherited an ability that only a few people have. The EVE series is ultimately a love story between Jocelyn and Jackson. It is freshly unique in that it bridges genres with its cross over between science fiction/time travel/romance/young adult as a work of commercial fiction. The main characters are relatable to a large audience in that their age group is late teens to early 20s. The narration of the story is told from 18-year-old Jocelyn Timmons’ viewpoint and the distinctively different lives that she leads on parallel planes when her soul travels nightly. On a much grander scale of enlightenment, it offers an alternative explanation for déjà vu, the consequences of declining family dynamics, the rational of auditory and visual hallucinations as the classic symptoms of schizophrenia and hypothesizes the truth behind noted prophecies. The foundation is created in Essence, elaborated further in Enlightened and blossoms in Perception followed by a unique twist and mind boggling conclusion Illumination. The series theories that an individual who has the inherited gift of EVE, possess the ability to live parallel lives on separate planes of existence. Throughout childhood and early adolescence, a barrier in their mind remains intact on the conscious level to prevent awareness of the other life from crossing each other. However, during late adolescence to early adulthood, the barrier between the two worlds begins to disintegrate causing the auditory and visual hallucinations of their other life to break into conscious awareness. These symptoms, once recognized by a family member(s) who also has the gift, were throughout history, guided by that family member(s) to adjusting to the disintegration of the barrier and full conscious awareness of living dual existences. Unfortunately with the decline in extended familial structure, family member(s) with the inherited gift are more often than not, no longer present when the symptoms appear and therefore the individual are diagnosed with schizophrenia. 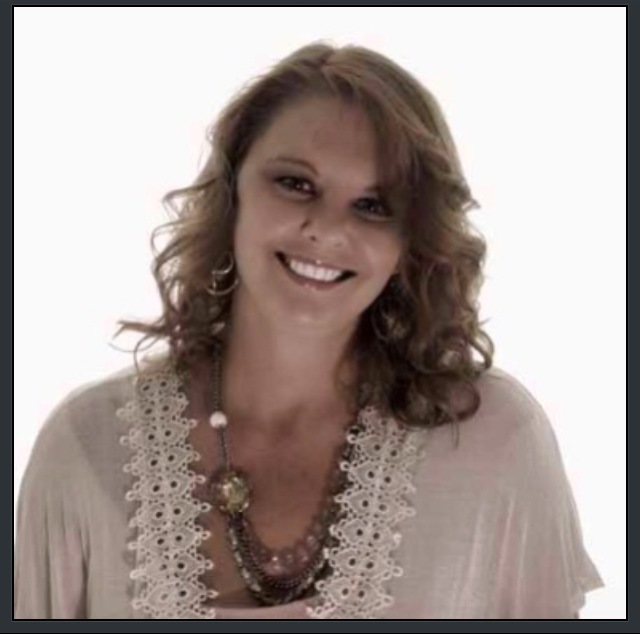 So come and follow along with Jocelyn on her journey of awareness, realization and understanding of the consequences of living parallel lives on vastly different planes, the pains of youth and young love and her struggles of making her way in this new and complicated way of life she is thrust into. 3. Why do you write? What do you want readers to take away from your work? I write because I have too. I always have, ever since grade school. I’ve written notebooks full of poems and short stories. One of my poems, Alone even got published in 2003 in The Sound of Poetry. Even if my work never got published, I would still be writing. It’s my passion and I love it. I hope that my readers fall in love with my characters and the storyline of my series. I truly hope they have as much fun reading about them as I did creating them. I do my best to write every day, at least a little. Despite having an office in my home, I prefer to write in my family room with the television or music blaring in the background. After having a house full of kids for the last 20 years, I find the noise more comfortable then the silence. I research a lot during the day and usually write a great deal at night into the wee morning hours. When I started writing Essence, I jotted down the overall premise. Then I created a flowchart of characters, the storyline, etc., on note cards before I ever typed the first sentence. Since it’s grown into a series, I now have poster boards, research notes, timelines, and character charts all over my office. Occasionally, I jump around if I have a thought I want to include later on and will add it at the bottom of my manuscript or in a notebook and then add it in once I get there. 5. Becoming a published author is never an easy path. How do you make it through the tough days? I have a daughter, who when she was almost three, received a very grim prognosis for her future. I never accepted it and pushed her every day. She has excelled so far beyond anything those specialists could have ever imagined. And when I got upset and irritated and was ready to stop submitting my work to various literary agents, she told me that she believed I was going to be an amazing writer; that my words mattered and she believed in me. So now when I get writer’s block or frustrated, I simply remember all that she has accomplished and the goals she has set for herself for tomorrow and I push through because I want to be, to her, as amazing as she is to me. 6. Spreading the word is one of the most daunting aspects of publishing with a smaller press. How do you get your titles out there? I have been extremely blessed with a book manager, Christina Boyd,who is what I call our “cheerleader.” I don’t know how much caffeine or energy drinks she consumes, but she has the energy level of ten toddlers combined. She spends countless hours diligently working to get my titles and series out there and into the hands of readers. She goes so far above and beyond the scope of her title every day. I honestly do not know what I would do without her. 7. What is the best piece of advice you’ve received that you can share with aspiring writers? Don’t ever give up on your dreams. Write whenever you can, even if it is just a half hour a day. I remember writing in the afternoons during nap time when my children were small or after I put them down for the night. It is hard, but if it wasn’t then everyone would do it. Believe in yourself and your writing. Don’t be afraid to sell yourself. I do know how difficult and frustrating it is to find a literary agent/publisher who believes in your work as dearly as you do. What I can say is to utilize the Writer’s Market guide to its fullest. A new one is published annually that offers young authors a comprehensive list of literary agents/publishers and what they specialize in. It also contains helpful hints and suggestions on just about everything regarding submitting your work. It is an invaluable resource. I strongly advise young authors to do your research on which agents/publishers specialize in their genre, check out their websites, and follow their submission instructions to the letter. Write a solid query with no mistakes in punctuation and grammar and do not rely on spell check. Proofread everything before you send it out to anyone. Don’t worry about the dozens of rejection letters you receive…and you will receive them. All authors have. I have enough to wallpaper my entire house with! Don’t give up, it only takes one yes! 8. Aside from finishing the EVE series, what other projects are you working on? Last summer when I started working on the final book in the EVE series, I decided to write a spin-off series, tentatively titled, The Spirit Quest series with one of the siblings of one of the main characters. I have done a lot of research on various time periods and have jotted down some notes regarding the premise. So far, I have only about half of the first chapter written. I had to put it away for now until I finish the final installment in the EVE series, but am eager to pick it up again. For more information about Angela, take a look at her website, alwaddington.com, where she blogs, posts updates about her books, and even has a writing playlist. Be sure to keep up with her there, on Facebook (EVEseries or authoralwaddington), and on Twitter (@eveseries or twub#EssenceBook1EVEseries). You can find her book at Amazon. If you were to live in two different time periods, what two eras would you choose and why? The giveaway will remain open until 11:59 p.m. Thursday, January 23, after which time we’ll pick THREE winners. Best of luck to you all! As part of her blog tour, Angela is also running a grand prize giveaway: One walk-on character named after you in Enlightened, the second book in the EVE series, as well as a signed copy of Essence. This contest closes on January 31, and you can enter by filling out the Rafflecopter form found here. I’m just days away from unveiling the cover of Desperately Ever After and a chance to win some advanced copies. Sign up here for exclusive updates and you’ll be the first to know! I’d love to experience the 1920’s & meet the great writers of the time. I’m a flapper at heart! I think the late 60’s would be an amazing time as well- Woodstock had to have been a blast! I suppose I’m a hippy at heart, too! That’s a good one. If you haven’t yet, you should definitely watch Midnight in Paris! I’d like to live in the height of the Roman Empire, also the 1960’s here in America! Thanks Christina. You should read Karen Doornebos’ Definitely Not Mr. Darcy and see if that changes your mind about in Regency England. The thought of being washed in cool, recycled bath water pretty much killed that fantasy for me! I would love to experience the time of King Arthur, and I would like to live a parallel life during the time of the Elizabethan age. These time periods have always fascinated me. I think if I had to choose 2 different time periods one would be in the times of he Highland warriors as they are so enticing and in the Egyptian era with Cleopatra as I love all things Egyptian. The time periods I would choose would be now, 2014 (but at Jocelyn’s/Jackson’s age! I want my youth back! Lol!) and a future time period of 3014. I want to be like, “Wow, this is what the future will be like!” Kind of like Jocelyn’s 1800’s self. If you were to live in two different time periods, what two eras would you choose and why? Ancient Greece and Renaissance Era. I love ancient Greece and the mythology that goes with it. I think the Renaissance Era had the most beautiful art.